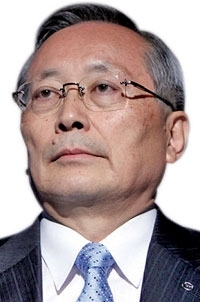 Takashi Yamanouchi, Mazda: Mazda's global restructuring "is a must-win situation. That's how important it is." LOS ANGELES -- Though 15 percent of Mazda's U.S. employees have taken voluntary buyouts, the company may lay off workers as it restructures its U.S. sales and marketing operation. As part of a reorganization that began in March, 107 of 701 U.S. employees accepted buyout packages. But in a March 7 memo, Jim O'Sullivan, CEO of Mazda North American Operations, told employees that involuntary layoffs could occur if Mazda fails to achieve its cost-cutting goals through those buyouts. If layoffs are needed, Mazda will begin notifying employees on May 29. Those employees would work through Aug. 3, according to the memo. Employees who accepted buyouts will work through July 2. Mazda is "in the midst of an extremely challenging business environment. It has become necessary for us to reexamine our business to accelerate further cost improvements," O'Sullivan said in the memo. Voluntary buyouts were offered to all 701 U.S. employees in early March. The offers included separation pay, a lump-sum payment based on years of service and assistance locating a new job. The changes are part of a global restructuring at Mazda that CEO Takashi Yamanouchi has called a "spectacular structural transformation encompassing r&d, production, sourcing, sales and all other business areas, for the first time in its 90-year history." Said Yamanouchi: "It's a must-win situation. That's how important it is." Mazda Motor Corp.'s net profit in its fiscal fourth quarter fell to ¥5.1 billion, or about $63 million, down 48 percent from a year ago. In its last fiscal year, losses soared to $1.3 billion. Mazda has suffered from slumping global sales, high r&d costs and a heavy reliance on exports that makes it especially vulnerable to the strong Japanese yen. Mazda's operating losses in North America rose to $505 million in the fiscal year that ended March 31, from $397 million the prior year. Through April, Mazda's U.S. sales are up 22 percent this year to 103,529.